The Los Angeles Fire Department’s Regulation 4 Unit unveiled a new program in 2015 that will improve fire system testing compliance drastically. In the past, many properties were overlooked and testing compliance city-wide was only around 30%. With this new automated program, we imagine compliance will improve to around 60% to begin with and more properties in the City of Los Angeles will now be fire safe moving forward. There is no better time for The Compliance Engine to take hold with the drought and fire hazard conditions that exist in our city and state. If you are a property owner or a property manager, you may receive a notice or multiple notices with “Renewal Notice” printed near the top of the paper. This means that it is time to test your fire prevention systems by a Reg 4 Certified Tester. We are licensed and bonded for these tests in the City of Los Angeles. Feel free to call us at 310-204-6403 to set up an inspection. Our company has been in business for over 30 years and we’ve seen it all. 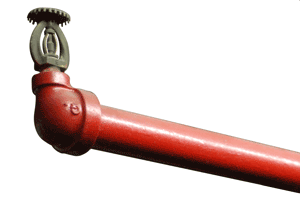 Z&S Fire Equipment is fully licensed, insured, and bonded with Reg 4 Testing Licenses and C-16 License. If you have any questions related to your fire protection equipment and testing intervals, feel free to give us a call at 310-204-6403 and ask for Kevin or Henry, our licensed contractors.